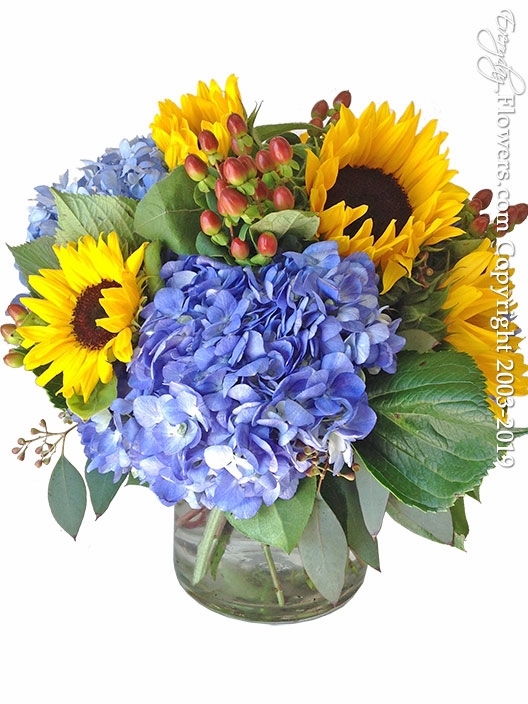 This summery flower arrangement is designed in a 6 inch glass cylinder vase using large blue hydrangea yellow sunflowers and hypericum berries with fresh seeded eucalyptus and salal leaves. Available for delivery in Orange County California by Everyday Flowers. This arrangement can also be picked up at our store located in the city of Santa Ana.